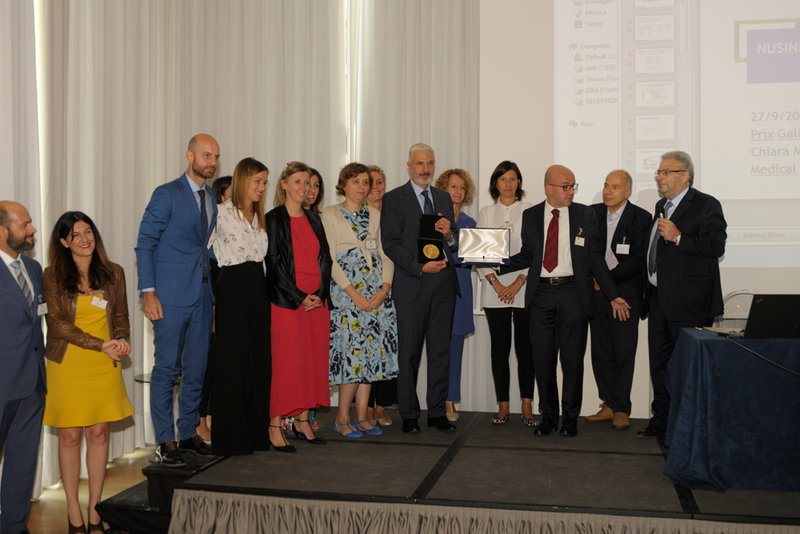 The final ceremony of the prestigious Prix Galien Italy 2018, considered a “Nobel Prize” in the field of pharmaceuticals and medical devices, was held in the morning of 27th September at the Rosa Grand Hotel. 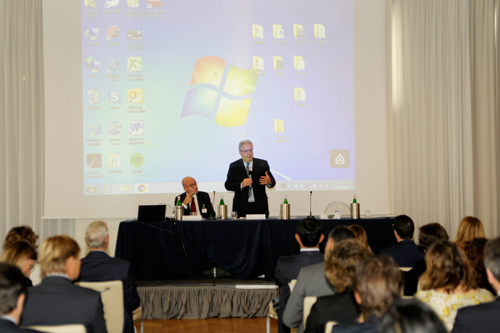 The event saw the participation of representatives of the major pharmaceutical companies operating in Italy. The drugs awarded the Prize for innovation, by category, are: Ocrevus® by Roche for the category “Biological Drugs”, Spinraza® by Biogen for the category “Orphan Drugs”, Alofisel® by Takeda for the category “Advanced Therapies, ATMP”, Januvia® by MSD for the category “Real World Evidence”, RWE. 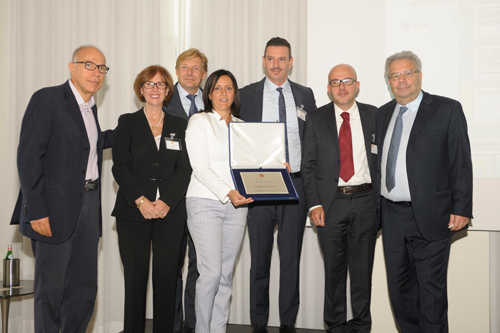 The drugs receiving Special mention are: Dupixent® by Sanofi for the category “Biological Drugs”, Vaxelis® by MSD for the category “Biological drugs”, Ilaris®, by Novartis for the category “Orphan Drugs”. 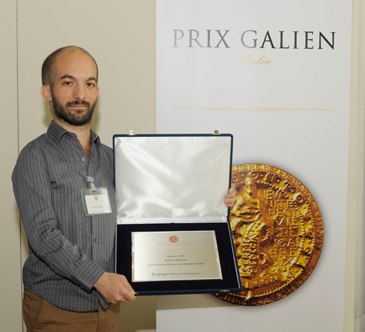 “Prix Galien is an initiative created in France in the 70s which aims to promote innovation in pharmaceutical research – explains Dr. Alessandro Gallo, managing director of Springer Healthcare.The Award takes place in various forms in about 20 countries and is coordinated by the Galien Foundation in New York. 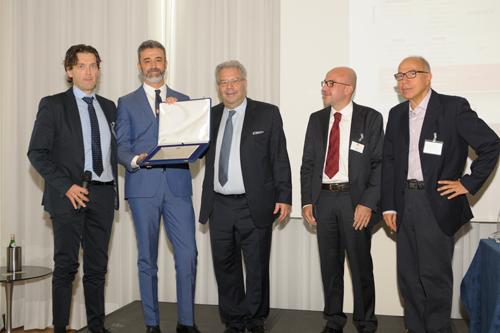 Springer is in charge of the Awards in Italy and Germany and, as of 2019, will also take care of the Dutch ceremony. 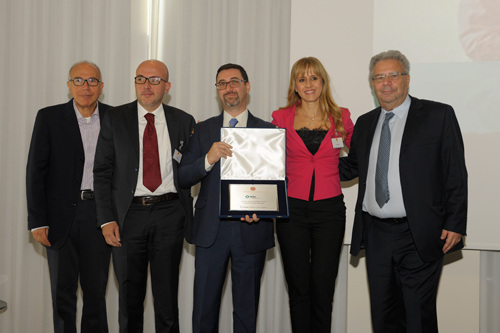 In Italy the Prize has reached its 26th edition”. 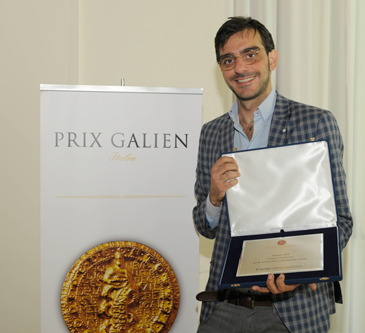 Assessment of candidates to Prix Galien Italy is carried out by an independent Scientific Committee, chaired by Professor Pier Luigi Canonico, from the University of Eastern Piedmont “Amedeo Avogadro”. The committee carries out its assessments on a voluntary basis. 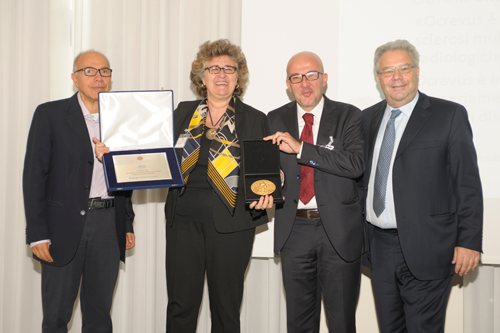 “Identifying innovative drugs is no doubt one objective of the pharmaceutical industry, but it is especially important for improving the health of patients – said Salvatore Cuzzocrea, Rector of the University of Messina and member of the Prix Galien Scientific Committee. However, one should avoid the risk of regarding as ‘innovative’ any new drug placed on the market”. “Advances in biotechnology and regenerative medicine have definitely contributed to pharmaceutical innovation in recent years– stated, along the same lines, Annamaria De Luca, Full Professor of Pharmacology at the University of Bari “Aldo Moro” – but such innovation cannot and should not be restricted to the concept of innovative “product”; rather, it should be aimed […] at the possibility of treating unmet clinical needs”. The 2018 edition of the Prix Galien features two major novelties. The first is the activation of a prize reserved for advanced therapy medicinal products (ATMP), which include drugs for gene therapy, somatic cell gene therapy, tissue engineering products or combinations of the above. 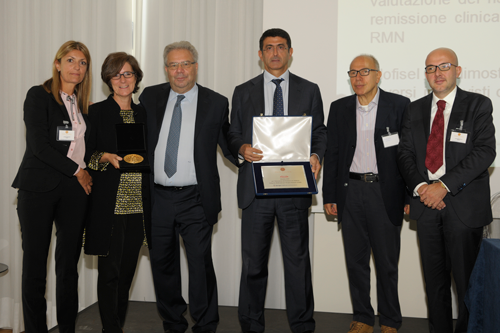 The second novelty is the activation of a prize reserved for medical devices (aids, prostheses and orthoses), in collaboration with the Italian Society for Physical and Rehabilitation Medicine (SIMFER), whose representatives have joined the awards committee to evaluate the application files relating to their area of expertise. 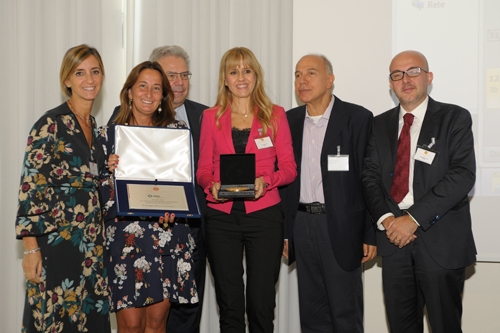 Awards for the category Medical Devices took place in Ancona on September 20, during the 46th National Congress of SIMFER; the winner is Vassilli S.r.l. 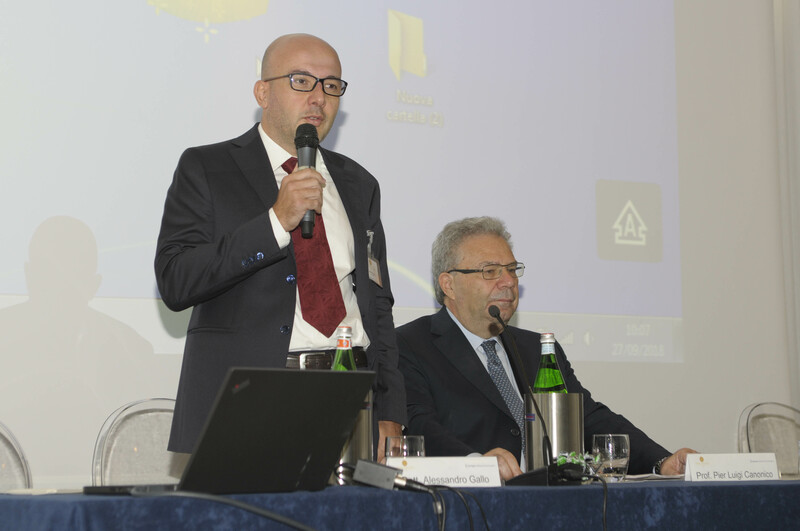 from Padua, an Italian company that has developed an innovative verticalising electronic wheelchair. The Real World Evidence (RWE) award, launched last year and confirmed in the current edition, is reserved for drugs subjected to post-approval studies able to confirm or redefine the efficacy and safety of a drug in real-world clinical settings or to contribute to the understanding of a disease through investigations on the drug. The winners of the Prize reserved for research scientists aged under 35 working in Italy, are: Valerio Chiurchiù (Rome Bio-Medical Campus and IRCCS Santa Lucia Foundation in Rome) and Francesco Di Lorenzo (IRCCS Santa Lucia Foundation in Rome and Tor Vergata University of Rome). OCREVUS® (ocrelizumab), approved by the European Union for the treatment of adult patients affected by relapsing and primary progressive multiple sclerosis (MS). It is a humanised monoclonal antibody designed to cause selective depletion of B lymphocytes expressing the CD20 receptor, involved in the pathophysiology of multiple sclerosis, while preserving the capacity for B lymphocyte reconstitution and pre-existing humoural immunity. SPINRAZA® (nusinersen), the only disease-modifying drug indicated for 5q spinal muscular atrophy (SMA), a rare autosomal recessive neuromuscular disorder that mainly affects children and characterised by motor neuron degeneration. “Nusinersen obtained designation as an orphan drug by the FDA and EMA, and the two Regulatory Authorities also evaluated the application for accelerated assessment, recognising the importance of expediting access to therapy. Subsequently, AIFA recognised that the drug was highly innovative in its indication and authorised its reimbursement for the treatment of all types of SMA. ALOFISEL® (darvadstrocel), indicated for the treatment of complex perianal fistulae in adult patients affected by Crohn’s disease. JANUVIA® (sitagliptin), indicated in adults with type 2 diabetes mellitus to improve glycaemic control, in monotherapy, dual therapy and triple oral therapy. 18.70A BV50 – HI-LO Vario Avanti electronic verticalising wheelchair, a technological aid capable of verticalising, tilting and reclining the backrest and footrest in an anthropometric and independent manner thanks to its ability to memorise ideal positions. DUPIXENT® (dupilumab), recombinant human IgG4 monoclonal antibody indicated in the treatment of moderate-to-severe atopic dermatitis of the adult. VAXELIS® (hexavalent vaccine) for diphtheria, tetanus, pertussis, poliomyelitis, invasive diseases caused by Haemophilus influenzae type b (Hib) and hepatitis virus. “The innovative formulation of the hexavalent vaccine, the only one available in Europe to contain an antigen component for pertussis (acellular) made up of 5 antigens, benefits from the clinical experience of immunogenicity, efficacy and safety previously acquired with the single antigens, and a ready-to-use format. It is a fully liquid vaccine, contained in a single pre-filled Luer-lock syringe, which allows for safer handling and reduces the risk of possible needlestick injuries or product contamination. Moreover it requires a shorter preparation time compared to vaccines to be reconstituted, with a lower risk of error. ILARIS® (canakinumab), a fully human monoclonal antibody targeting interleukin 1β, which has undergone years of extensive clinical development for a variety of rare auto-inflammatory diseases. Canakinumab is highly innovative in that it is the only drug approved for three rare auto-inflammatory diseases: TRAPS (tumour necrosis factor receptor-associated periodic syndrome), MKD (mevalonate kinase deficiency) and FMF (familial Mediterranean fever).